23rd November, 1963. The date that started it all. The magic, the adventure that we have all held so dear to our hearts ever since. A blue Police box, an incredibly intelligent pupil whose behaviour prompts her teachers to find out more about her. 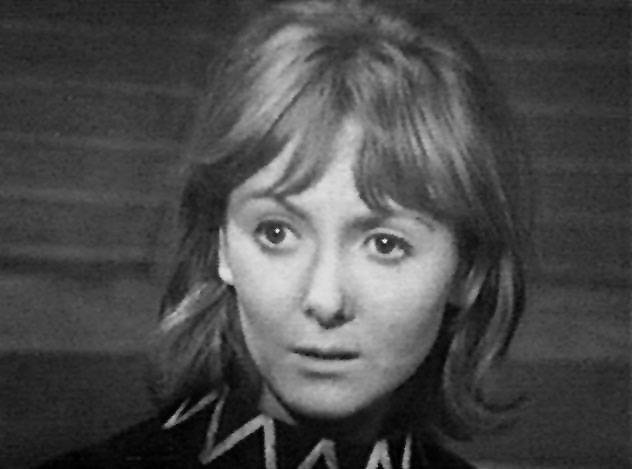 Then they meet her Grandfather…..
Why has the Doctor’s initial attitude in his first scene of An Unearthly Child continued to be the general consensus of his character? 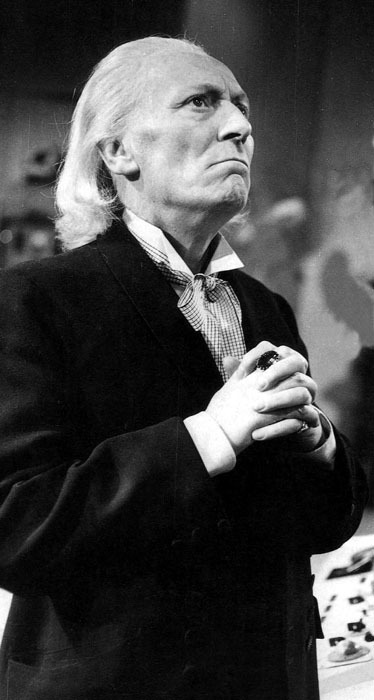 This article will hopefully change people’s unfair perception of the First Doctor and encourage everyone to watch more of his stories. Here is another interview with a cast member from Being Human. This time it's Michael Socha who plays Tom. 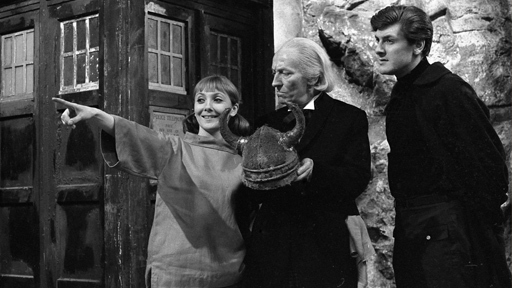 Series Four ended with characteristic drama. Where does Series Five begin? Tom is still at Honolulu Heights with Alex, and Hal is still strapped to the chair he was in at the end of last series. With Hal still restrained because of his bloodlust, things are definitely not easy for the guys. 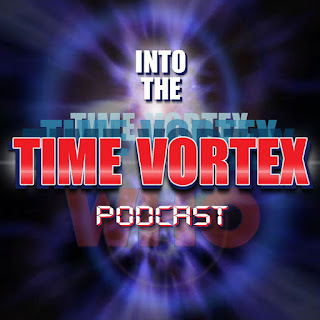 Tom and Alex don’t want Hal to go back to his old vampire lifestyle, so we’re hoping that forcing him to go cold-turkey will help, but Hal’s still messed up from it all. When you see him, he’s sweaty and being spoon-fed mashed banana – it’s not pretty. Eventually, Tom has to decide if he can trust Hal enough to let him go which is really hard for him because he doesn’t want to think badly of his best mate. Plus, Tom is trying to help Alex who is having a hard time coming to terms with being a ghost, like the fact that no one can see her and her family don’t really know what happened to her. It’s not easy for Alex because it’s all still new and she still partly blames Hal for her death. Has Tom had to change much? Yeah its getting really weird when commercials get teasers. It’s the swinging Sixties and London is a buzz. The hottest club in town is The Inferno and that is where The Doctor meets two new friends. The lovely and swinging girl of the 60’s scenes Polly and her soon to be boyfriend the grumpy sailor Ben soon to be travelers in the TARDIS. 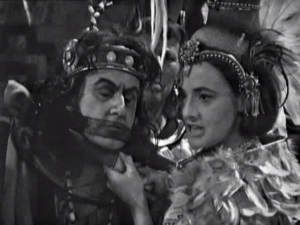 Well soon and unexpected and quite soon as the pair gets entangled with The Doctor and WOTAN. WOTAN is a super computer who thinks humans are inferior and should be ruled by machines. Thus WOTAN uses hypnotic influence to get humans to assemble The War Machine to use in taking over the world. What is funny about WOTAN is that he calls The Doctor Doctor Who. One of his instructions is Doctor Who is required. For such an intelligent computer you would have thought it would know The Doctors name. The BBC Media Center has some really interesting cast interviews with the gang from Being Human. Yesterday we brought you some and today we bring you this one from series star Kate Bracken who plays the ghost Alex. Where do we start in Series Five? So with Series Five, we start with where left off… so Hal is strapped to a chair and he has been there for weeks, but Tom and Alex are deciding whether it’s time to let him out or not. But they don’t know if they can trust him yet. In terms of where Alex is now… she has obviously had a bit of time to come to terms with what’s happened. She got killed in the last series, but she didn’t really get time to think about it all so she ended up just going with the flow, but now time has passed and it’s all sinking in. Two Trailers For Tonight's Arrow "Vertigo"
The cast has been announced for Mark Gatiss 90 minute docudrama special for Doctor Who's 50th Anniversary "An Adventure In Time and Space" which details the beginning of Doctor Who. The BBC has announced who will be playing the key players. 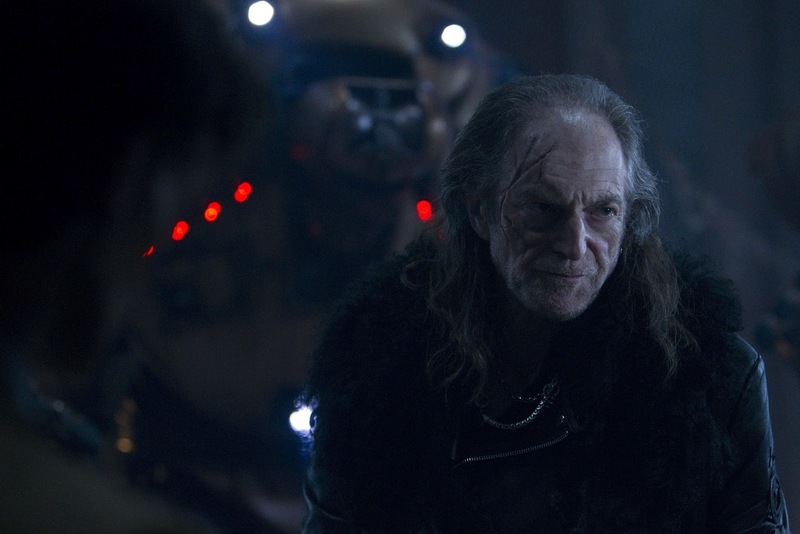 Playing William Hartnell will be David Bradley who was in Harry Potter and plus he was in Dinosaurs in a Spaceship. 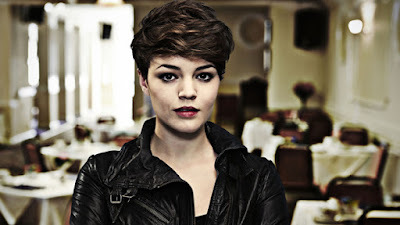 Also announced was Brian Cox playing Sydney Newman, Jessica Raine as Verity Lambert and Sacha Dhawan as Waris Hussein. Here is the full press release from the BBC Media Center. BBC AMERICA will co-produce and premiere An Adventure in Space and Time as part of the channel’s celebrations to mark the 50th anniversary of Doctor Who. An Adventure in Space and Time will tell the story of the genesis of Doctor Who – which first aired on November 23, 1963 - and the many personalities involved. Announced today, David Bradley (Harry Potter) is set to play the first ever Doctor, the iconic William Hartnell, in the drama written by Mark Gatiss (Sherlock, Doctor Who), who will also serve as executive producer alongside Steven Moffat (Doctor Who, Sherlock) and Caroline Skinner (Doctor Who, The Fades). An Adventure in Space and Time (1x90) is a co-production between BBC Cymru Wales and BBC AMERICA. The drama will premiere later this year on BBC AMERICA. 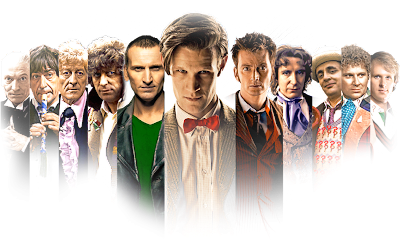 Since it is the 50th Anniversary I thought it would be interesting to do a top 10 for each of the eleven Doctors. So this month we go back to the sixties and the very beginning as we compile the Top Ten William Hartnell Doctor Who Stories. 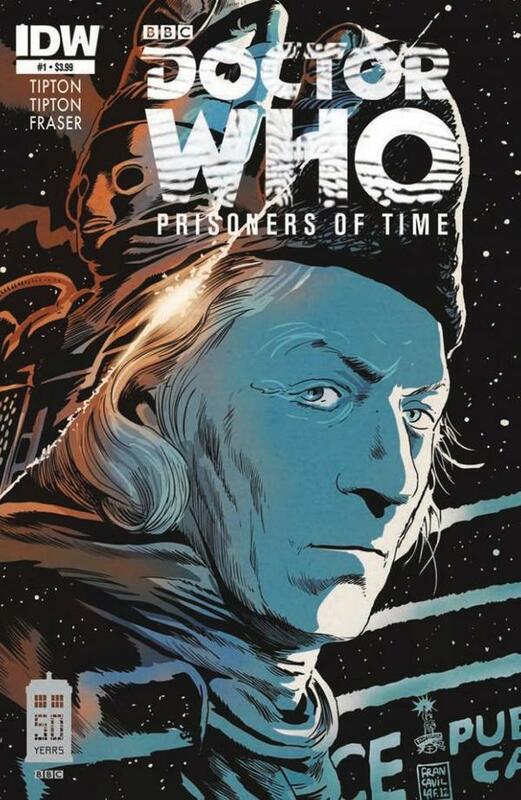 Here is a synopsis for the new comic book maxi series Doctor Who - Prisoners of Time which issue number 1 is out tomorrow. You can view a preview of the comic book here. 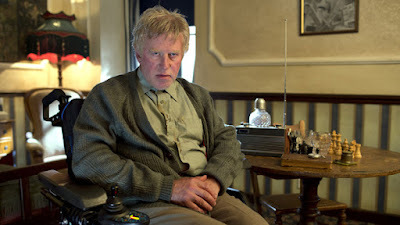 Here is an interview with Being Human's new villain Captain Hatch played by Phil Davis. 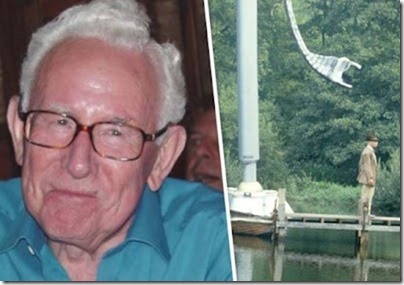 What can you tell me about Captain Hatch? He’s pretty disgusting, nasty, spiteful, old man, at least to start with. Captain Hatch is very sick, he’s in a wheelchair and he suffers from all kind of ailments, but as he manages to set the vampire and the werewolf against each other, he gets more powerful and it restores his health. By the end he’s able to do all the things he couldn’t do to start with. What is Captain Hatch’s plan? 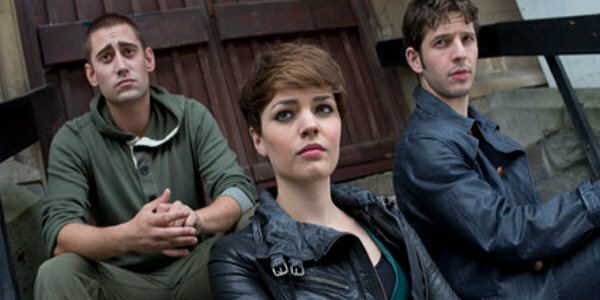 The BBC Media Center has released a whole bunch of interviews to get you ready for Being Human Series 5 which returns Sunday February 5. We will post a bunch of them over the next couple of days. Being Human returns to BBC Three for a fifth series on Sunday 3 February at 10pm. Here lead writer Toby Whithouse introduces the new series. Whenever we sit down to storyline a new season of Being Human, we try to find a single headline – unofficial and usually never stated – that encapsulates the series arc. It’s more of an ‘aide memoire’ for us, something that articulates our ambition and intention. 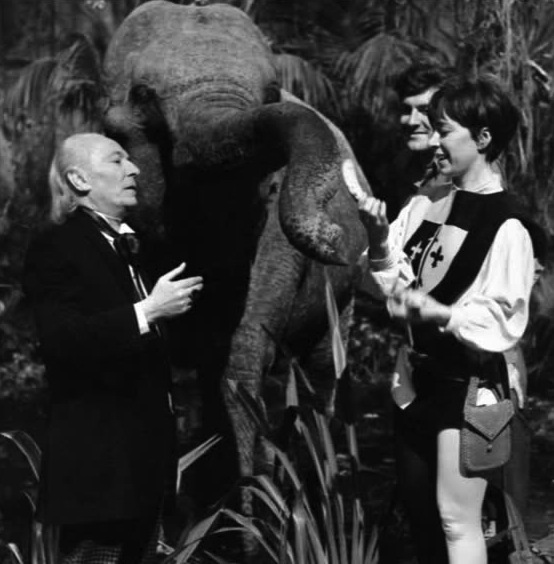 Series One told the story of Mitchell, George and Annie settling into their new home and the beginning of their (ultimately futile) attempt the ape humanity and live a normal mundane life. In my mind it was titled ‘There Goes The Neighbourhood’. IDW has released a press release announcing the return of The X-Files to the world of comic books. The new comic will be released in June along with reprint collections of the sporadic X-Files releases from 1995 to 2009. San Diego, CA (January 28, 2013) - IDW Publishing and Twentieth Century Fox Consumer Products are thrilled to announce a partnership to publish an exciting series of works based on the legendary series, THE X-FILES. IDW's publishing plan includes reprinting collections of the classic issues published intermittently from 1995 through 2009, as well as creating brand-new X-FILES comics to launch in June 2013. Over two movies and two hundred television episodes, THE X-FILES, is a juggernaut of science fiction-tinged intrigue, unique characters and carefully constructed stories. 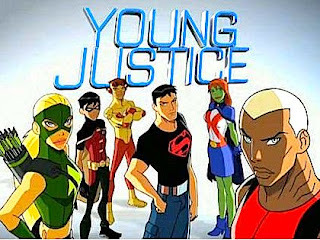 The show's popularity raged into the comic world, seeing successful series mounted by publishers Topps and Wildstorm. Despite this, new publishing has not been available since 2009's joint Wildstorm/IDW crossover - 30 Days of Night/The X-Files - leaving fans without a venue for the continuing sequential adventures of Mulder and Scully... until now. "THE X-FILES is a classic property that helped redefine fans' expectations for the science-fiction and horror genres," said IDW's President/Chief Operating Officer Greg Goldstein. "The possibilities for new comic stories are virtually unlimited!" 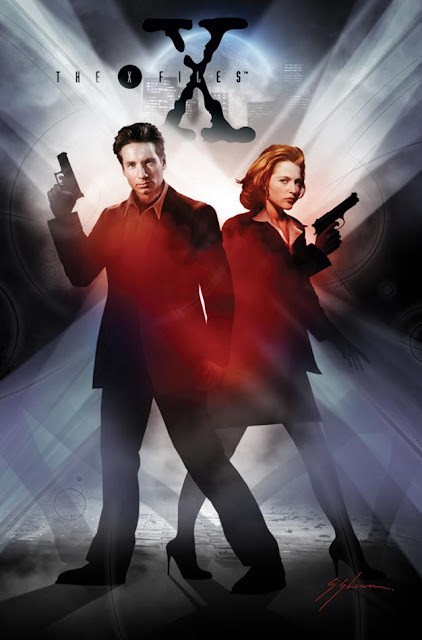 "The fans of THE X-FILES have remained loyal to the series since its conclusion. What better way to continue the show's legacy and give back to them than through new stories in a different medium," said Jeffrey Godsick, President of Fox Consumer Products. "IDW has worked with a number of our Fox properties, and we know they're going to do great things with these iconic characters." In 2013, fans of THE X-FILES will want to believe in new comics from IDW Publishing! The home of successful kindred series like 30 Days of Night, Doctor Who, and Locke & Key, to name a few, IDW is excited to bring the enduring legacy of THE X-FILES back to comics. "Few shows have captured the zeitgeist and fans' imaginations like THE X-FILES, and fewer shows still have left people hungry for more in the way this one did," said Chris Ryall, IDW's Chief Creative Officer/Editor-in-Chief. "Our new series will be picking up where the second film left off, which will hopefully be as exciting for fans to read as it is for us to develop." In a move that wasn't all that unexpected Cartoon Network has canceled Young Justice and Green Lantern The Animated Adventures. The fall schedule came out today and both shows were not on it. They will be replaced by Teen Titans Go and Beware The Batman. Following the events of The Celestial Toymaker The Doctor apparently has a toothache. So he sets off to find a dentist. Well he lands at the western town of Tombstone home of the OK Corral. Roaming around the town are the likes of The Clantons, Wyatt Earp, Johnny Ringo and Doc Holliday. The Doctor proceeds to find Doc Holiday and to get his tooth fixed while Steven and Dodo try to blend in. What happens next is quite comical as the three travelers get caught up in the shootout at the OK Corral. Trailer for Tonight's Continuum "Wasting Time"
This is the first installment in an occasional series on how reality sometimes intrudes on geekiness ... or maybe the other way around. I attended a presentation at work on Friday. The subject is not important. At the end, my boss held up a small toy figurine and said, "We're just as fast as Flash Gordon." He said he wanted critiques on the presentation, so I approached him afterward. Me: "That's not Flash Gordon. That's the Flash. There's a big difference." 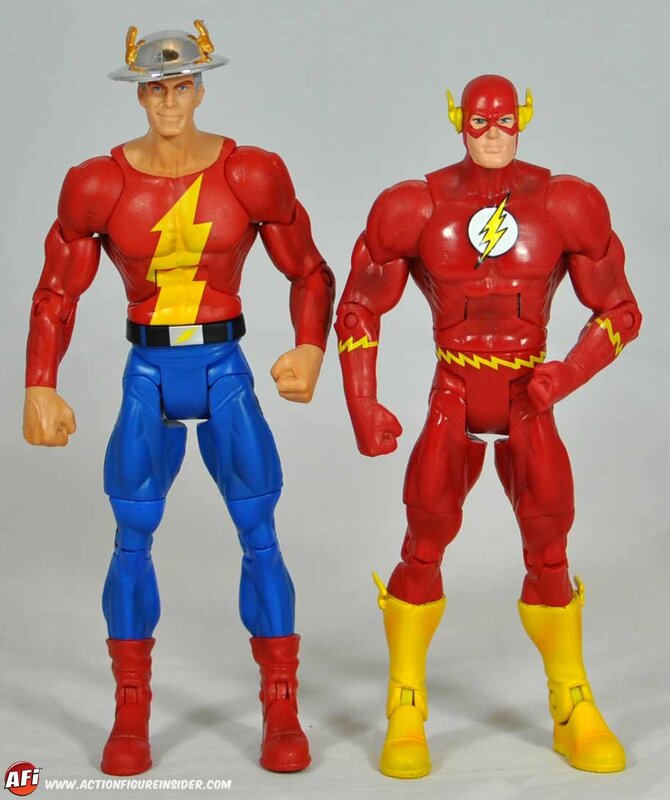 Him: "Well, it's the original Flash from the comics." Me: "No it's not. It's the Barry Allen Flash. The original Flash was Jay Garrick." I'm guessing it's a good thing that I did not mention Wally West. William Hartnell was the first man to carry the mantel of The Doctor and the one who got this 50 year phenomenon started. It was because of him and his wonderful portrayal of The Doctor that we have the show we all know and love today. 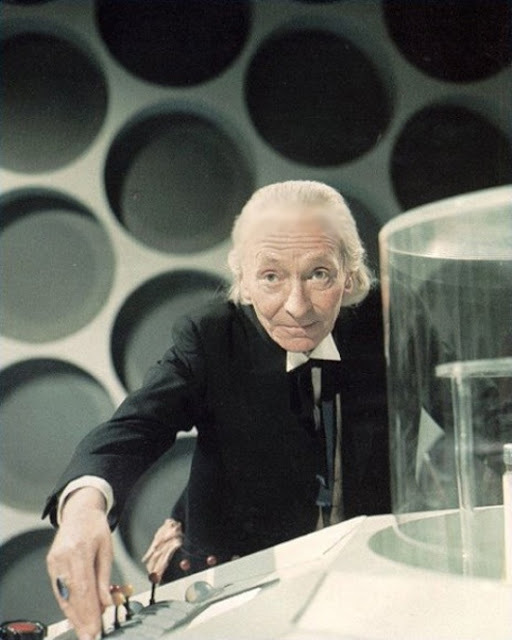 We owe a lot to the man who donned that white wig and opened the TARDIS doors for the first time. The Doctor and Steven and new companion Dodo arrive on a strange place which doesn’t make much sense with the types of animals living together. Dodo has a cold and is sneezing all over the place. 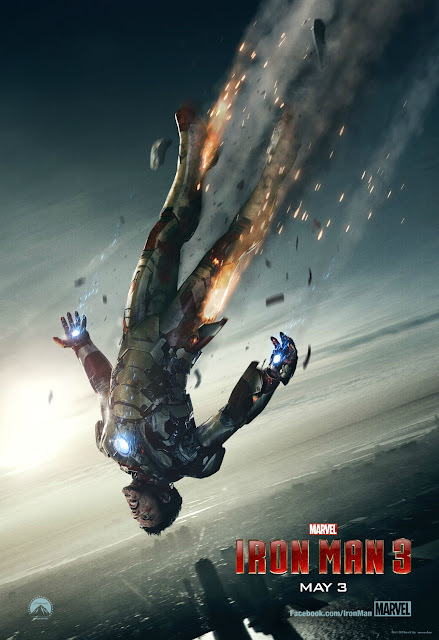 The problem is its 10 million years into the future and the Earth is falling into the sun. 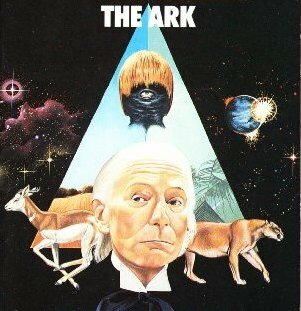 The ark is the last survivors of earth and they have cured the common cold and have no immunity to fight it off. So it’s up to the Doctor to make the cure and save the humans and The Monoids. After saving everyone TARDIS lands them 700 years into the future but on The Ark. This time things are different as The Monoids have enslaved the humans. The cold and remedy somehow mutates The Monoids and they have a higher intelligence and a very evil persona at that. As they want nothing more than to have the planet to themselves and wipeout the humans forever. The next part in the 11 part Destiny of The Doctor is The Shadow of Death and features a 2nd Doctor story performed by Frazer Hines. 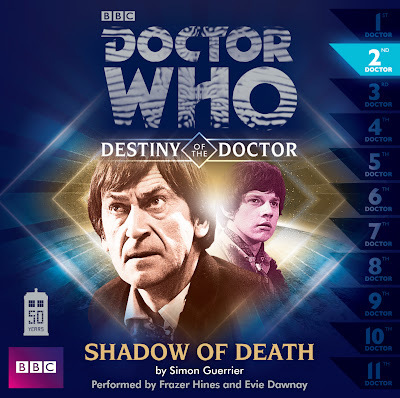 Frazer Hines does a great Patrick Troughton impersonation so this one should be pretty good to listen to. You can order it at the link below. Oxygen - a story about a teenage girl who falls for a boy, who happens to be an alien. Before you say "Roswell!!" this time it seems the aliens might be known to Earth and this is the earliest stage of integration into society. CW has ordered this pilot which is created by Meredith Averill (The Good Wife and Life on Mars - the American version). The Hundred - another post apocalyptic tale about 100 juvenile delinquents given the task in repopulating the long abandoned Earth. Wow, there are certainly a lot of post apocalyptic movies and TV shows going around these days. This is another CW pilot. Believe - A Bad Robot project with writer and director Alfonso Cuaron (Children of Men) that follows a young girl who will develop superpowers over a seven year period and an ex prisoner who is set to protect her from a group trying to hunt her down. This is an NBC project. The cast for the next X-Men movie, which features a story about X-Men from the past meeting X-Men from the present (Days of Future Past) is growing to include many more characters from both time periods. 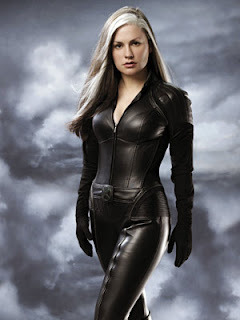 Anna Paquin (Rogue), Ellen Page (Kitty Pride) and Shawn Rashmore (Iceman) are joining Hugh Jackman (Wolverine), Ian McKellen (Magneto), and Patrick Stewart (Professor X) in reprising their roles for this temporal crossover story that sounds like it will be very crowded and potentially story hurting (IMHO). Big Finish continues it run with Blake 7 audio adventures with this latest 3 disk box set The Liberator Chronicles. 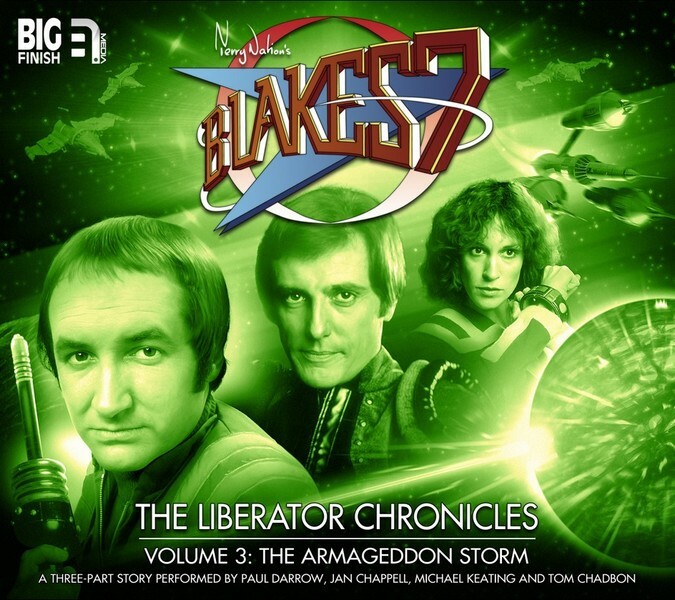 This time instead of three separate stories we are treated to a 3 part story The Armageddon Storm. Available for order at the link below. It’s 1066 and The Doctor and Vicki are trying to convince new companion Steven that they have indeed traveled back in time. They even show him a Vikings helmet to prove their point but when they come up across a wristwatch from modern times they are starting to doubt they are in 1066. The Doctor wanders off to the monastery where he finds tons of anachronistic stuff that should not be in 1066. But there is someone else lurking in the shadows. It’s The Meddling Monk who is someone with a sinister plan to change history and who the Doctor also knows from his own planet. I came across this video at http://www.geeksaresexy.net/ and thought that it would in the best interest of our blog to share this exercise video in order to promote health and fitness. It also fit right in with our blog because it involves Catwoman! This video certainly was helpful and after watching it for the 3rd time I noticed there is even some instructions on how to do these warm-up instructions. Anyhow, here we have Superhero Boot Camp Episode 1. Remember to watch it in full HD! Imagine being chased through space and time. Imagine the ones chasing you are your most hated enemies The Daleks. The Daleks have discovered time travel and are now hunting The Doctor, Ian, Barbara and Vicki all through time. The TARDIS crew is being chased all around to the Mary Celeste, to a monster themed fun house, to The Empire State Building in New York City USA. 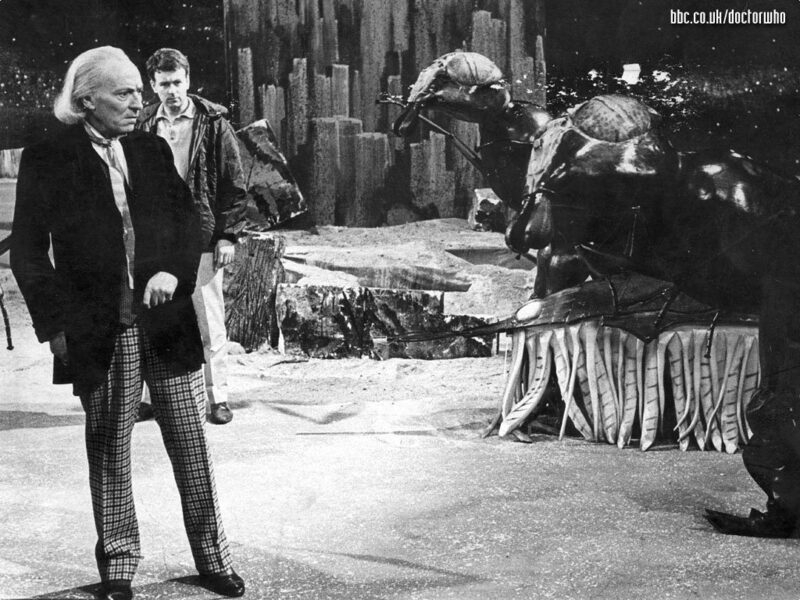 The Daleks are relentless in their pursuit until the final showdown on the planet Mechanus with the Mechanoids. 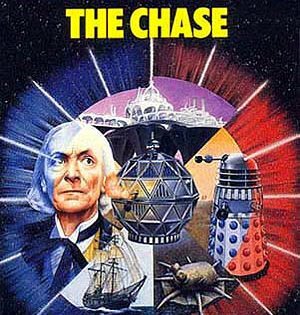 The Chase isn’t one of my favorite Dalek stories. Even though it has a good ending as Barbara and Ian finally get home the whole story could have been better if it was shorter. Coming in at 6 episodes it does contain a lot of filler. 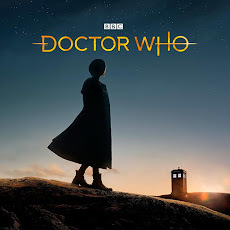 In my opinion it would have been better served as a 4 part story as the first two and last two episodes were done really well and I found to be very entertaining. It’s just the middle two stories were just bland and well stupid. I know they needed to create the illusion of a chase but some of the scenarios were quiet stupid. Mainly the Empire State Building scenes with future companion Peter Purves doing a really bad impression of someone from Texas. BFI is coming out with a series of taped panel discussions on Doctor Who and the first one centers on the creation of the very first Doctor Who story, An Unearthly Child. The panel includes Mark Gatiss (writer of Victory of the Daleks), Waris Hussein (Director of An Unearthly Child), Carole Ann Ford (Susan) and William Russell (Ian). 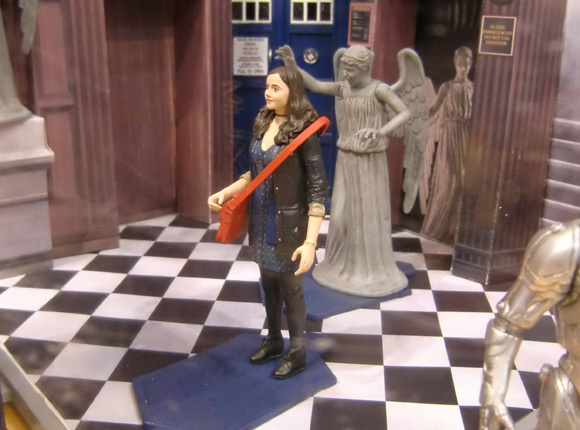 Included in the photos are some more action figures including the Clara figure (Yes!) 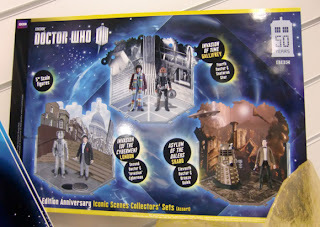 and some cheap looking playsets. Being Human returns to BBC 3 on Sunday February 3 at 10PM. 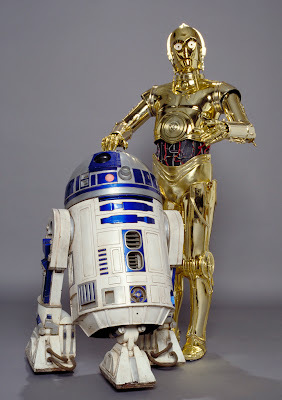 The Wrap broke the news that J.J. Abrams will be directing the new Star Wars film - see the story here. I know Abrams has his critics but he can breathe new life into this franchise and so it is a good choice. I thought that there would be many other better choices but I am happy with the decision. Johnny Byrne's Children of the Gods is the latest Space: 1999 novel to come out from Powys Media. 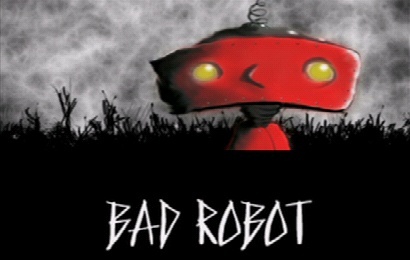 The story was originally conceived by series writer Johnny Byrne and has been adapted by William Latham. 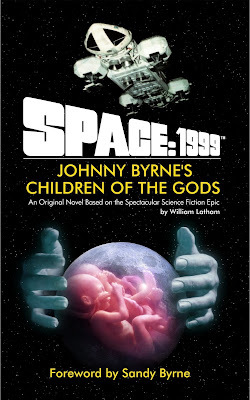 The book is an all new original story based on the 1974 Gerry Anderson TV series, Space: 1999. 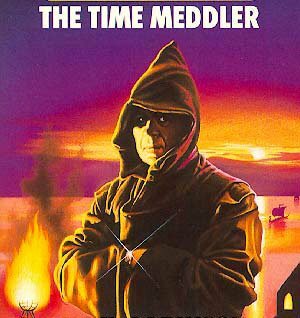 Powys Media has produced many novels from the show already including several reprints of some novels that came out in the 70's. Several novels have addressed continuity issues in between seasons 1 & 2 of the series including the disappearance of several characters. Another series of novels wrapped up the series in an epic story that was highly ambitious. 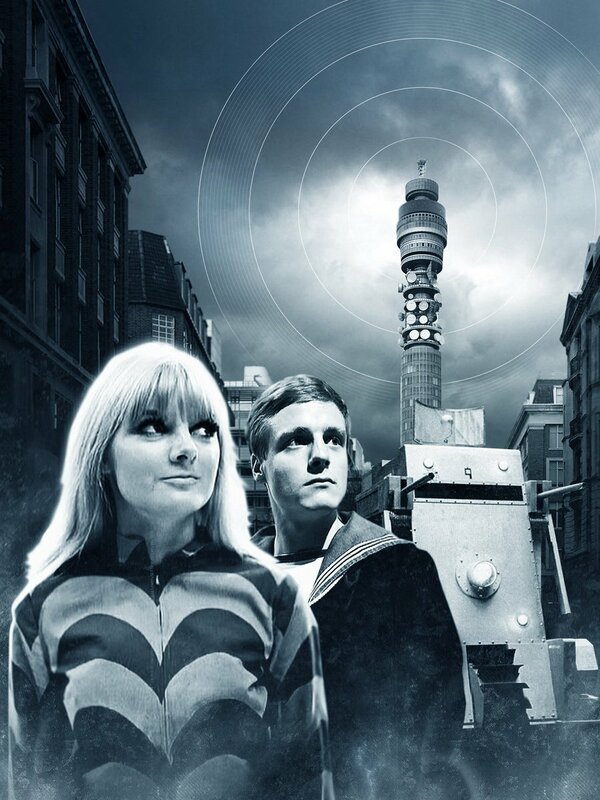 The first of 11 Doctor Who eBooks to celebrate the 50th anniversary of Doctor Who has been released. 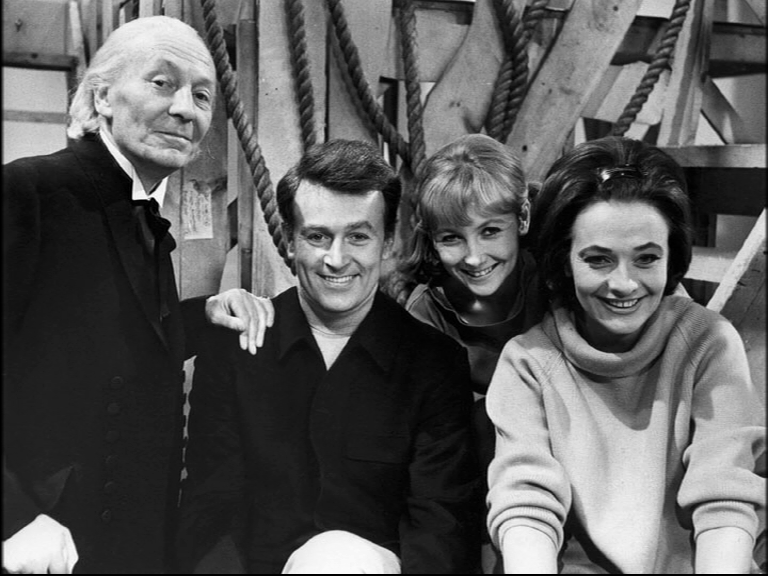 The story centers on the 1st Doctor and Susan before they met Ian and Barbara. 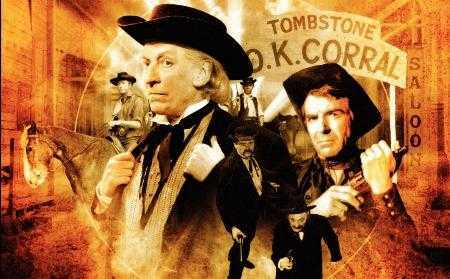 It takes place in 1900 London where The Doctor is looking to get a new hand. His old hand was chopped off by a Soul Pirate. Apparently and old acquaintance of his has set up a shop and he specializes in attaching cloned body parts or other types of parts like an exoskeleton hand. Then he gets a message from Susan that the Soul Pirates are up to no good and that he needs to hurry up and meet her. Well that is when the adventure begins. 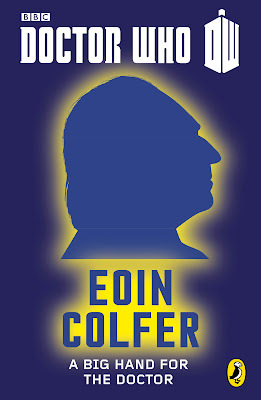 A Big Hand for The Doctor was written by Eoin Colfer who is famous for his Artemis fowl series of young adult novels. Since these eBooks are aimed at a younger audience having a young adult author write them is a pretty good idea as it won’t be bogged down with a lot of science fiction jargon or a complicated plot. 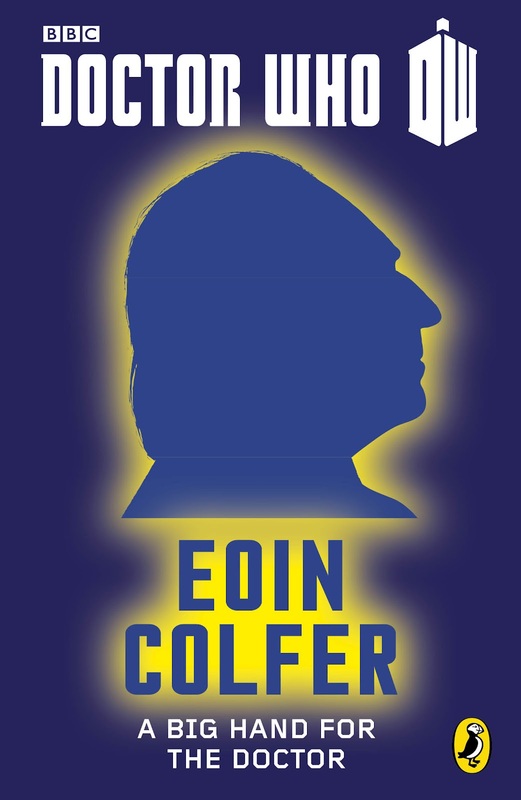 With that said Eoin Colfer does give us a very enjoyable story that is pretty easy to follow and is pretty easy to read. He captured the feel of William Hartnell’s Doctor very well and I could see this fitting into that particular era. Only thing is I wished it was a tad bit longer as I thought it was to short. But since this is a series of stories that will be released in one volume later this year I can see why it was the length it was. The only thing I had a problem with is the whole hand thing. I just didn’t like that idea but knew why it was done, you will too once you get to the last chapter, but I still didn’t care for it. It just didn’t seem right and not something that would have happened to The Doctor. 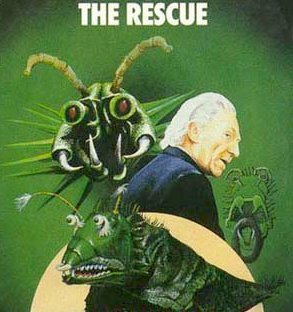 But in all A Big Hand For The Doctor was an enjoyable read and a fun one to read before bed or during a lazy afternoon. 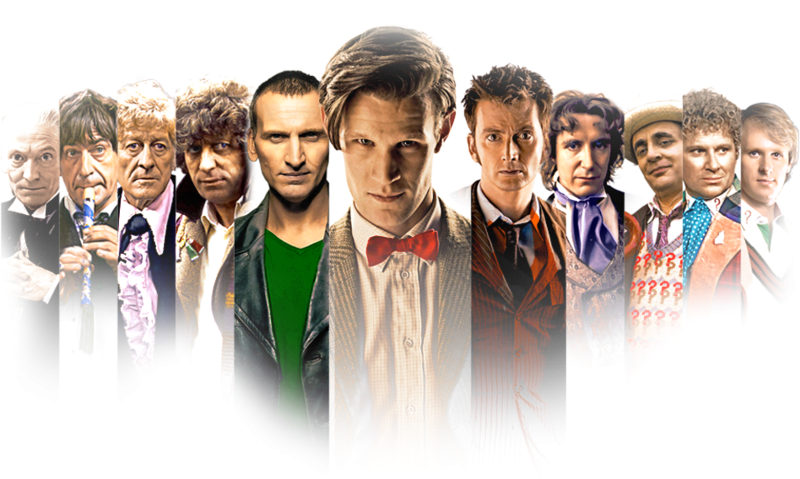 The BBC have launched an official 50th Anniversary website celebrating the history of Doctor Who and all The Doctor's. 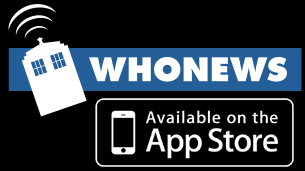 It's pretty cool as there is lots of stuff you can view about Doctor Who. You can check it out at this link. Silva Screens has announced that they will be releasing several soundtracks from classic stories in part to celebrate Doctor Who's 50th Anniversary. 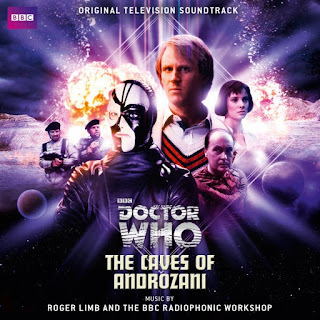 First up is Peter Davison's last story The Caves of Androzani. It will be out for sale and download on the 25th of March. There are all types of museums. All over the world and for the most part free to enter. There are art museums, museums that house historical articles and museums that have natural history like dinosaurs and such. But the most famous museum of all is the Space Museum. What is the Space Museum? 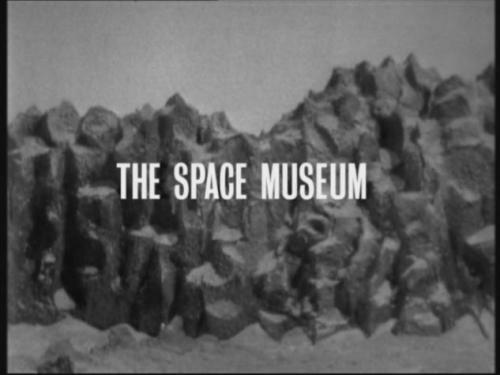 Well it is a museum that is on the planet Xeros. What is unique about this museum is that there are some pretty interesting exhibits on display. Like for instance a Dalek from the planet Skaro. Yes a Dalek on display. Well maybe its shell as it is pretty empty inside luckily for us. The gem of the museum is the exhibit of the time travelers. Yes a true gem that. The four time travelers and their blue box. 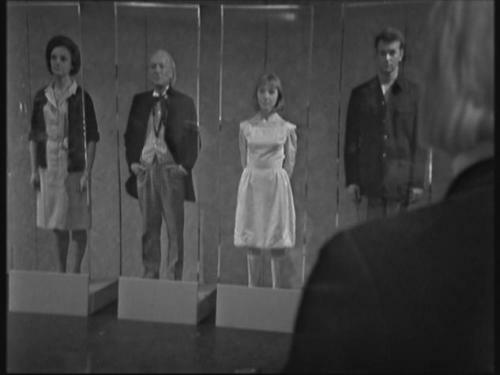 It is in fact a marvel that they can all fit in that box and travel through time. So marvel at the time travelers known as The Doctor, Ian, Barbara and Vicky and look at their wonderful craft The TARDIS the next time you are on Xeros and are visiting The Space Museum. A lot gets spoken regarding legacy. What legacy will the 2012 London Olympics leave? Is George Lucas harming the legacy of Star Wars with the changes? These are just a couple of examples to show that legacy tends to raise more questions than it answers. Samuel Youd was born on the 16th April 1922, and was destined to write. He wrote short stories, novels, comic book entries, all sorts of styles of writing under numerous pseudonyms. It is the pseudonym of John Christopher that I fondly remember. Despite many titles, both as Christopher and his other names, the novels that spring instantly to mind are The Tripod trilogy, written between 1967 and 1969; and my favourite of John Christopher's books, 1977's Empty World. The Tripods trilogy was about a conquered humanity. The Masters travel around in huge three-legged machines known as The Tripods, and the world becomes reminiscent of the middle ages. Humans are controlled from their teenage years by implant 'Caps' which take away curiosity and leave the person incapable of dissent. They work for, and worship, The Tripods, and those for whom the Caps don't work are left wandering the world as vagrants. According to a merchandise banner on display at the BBC's table at the London Toy Fair, Doctor Who will air the remainder 8 episodes of this season and then the 50th Anniversary in the fall. 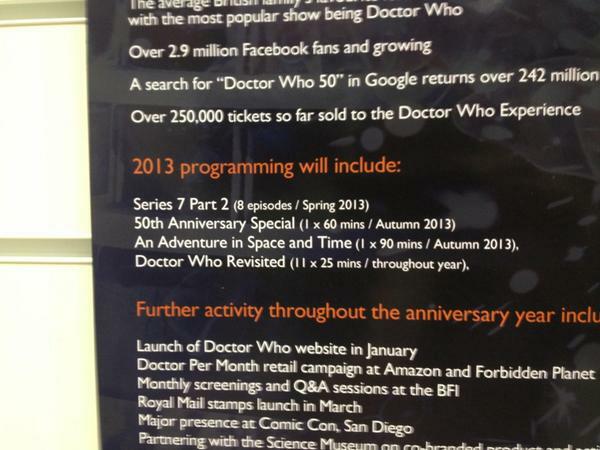 There is no mention of a Christmas special nor any season 8 airing at all in 2013. To top this off, the anniversary special is 60 minutes long and not a season long celebration as hoped. The Banner also mentions the docu-drama and 11 other documentary specials. Now the banner does say "To Include" and so there may be more to be announced but if that is it then this anniversary may not be as big as originally thought. The Web Planet isn’t one of those stories that you go crazy over to watch again. No in fact, it is quite boring. 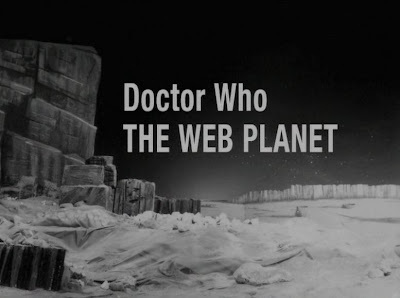 Ok. To be fair The Web Planet wasn’t intended to be watched in one sitting. It was in fact a serial that was to be enjoyed weekly with the traditional cliff hanger which was a classic way to tell a story back in the sixties for Doctor Who. This story comprises part of the second season of Doctor Who shows William Hartnell to be completely comfortable in the role of the First Doctor. In fact despite his stumbling of words he does a remarkable job with the battle of wits with Animus. The Animus is an intelligence that has mind control over the Zarbi and their fellow creature the larvae gun. In fact the other creatures in this story the butterfly like Menoptera. These creatures occupy the planet Vortis which at one time was peaceful where they all lived in harmony. The BBC have announced that rest of Series 7 of Doctor Who will return Easter weekend. 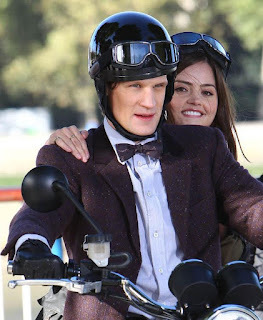 The show will air on Saturday March 30th and it will be a story written by Steven Moffat. Not Much longer now to find out more about the mystery that is Clara Oswald. Full story here. I love horror. I love blood and guts horror, torture horror, and mythical creature horror. The likes of A Nightmare on Elm Street, and the seven SAW films make up a large part of my DVD and BluRay collection, but my favourite part of the genre is anything that is psychological. 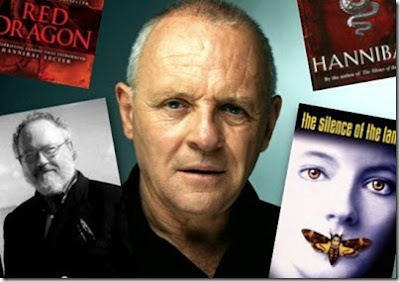 And this leads me to an author who does this better than most: Thomas Harris. Harris was born on April 11th 1940 in Jackson, Tennessee and majored in English at Baylor University in the now infamous town of Waco in Texas. After a brief stint with the Waco Herald he joined the Associated Press in New York City and covered crime in the United States and Mexico whilst working on his fiction writing. His debut novel Black Sunday is about an American planning an act of terrorism at the Super Bowl and was released in 1975, but it is a certain quadrilogy that brought Harris to the public's attention. Starting in 1981 the world was introduced to the cannibalistic sociopath Doctor Hannibal Lecter, a forensic psychiatrist. 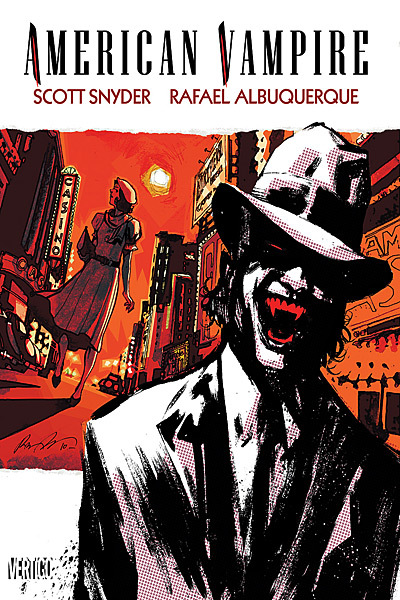 Continuing with the story of Skinner Sweet and Pearl American Vampire Volume 2 contains two stories and collects issues 6 – 11 of the ongoing comic book series. The first story involves Skinner Sweet in Las Vegas in 1936. There Skinner is a big mob boss in Sin City and he’s gotten up the crawl of Las Vegas Police Chief Cash McCogan. Of course there are vampires involved and someone is pecking off certain members who lowballed the bid on the Hoover Dam and went into business with the vampires. Thus bringing the mayhem to the city on the up rise that is Las Vegas. The second story involves Pearl and Henry as they try to live a quiet life away from vampires and Skinner Sweet. But Pearl who is one of The American Vampires is always on the lookout for anyone who might be coming after them. Especially The Vassals of the Morningstar who hunt and kill vampires and the come to Pearl to ask her how they can kill American Vampires so they can use that info against Skinner Sweet. Not to give too much away you can guess what ensues next. Yes lots of violence and action that you have come to expect with American Vampire. Scott Snyder gives us a pretty good Skinner story and also sets up a good story for Pearl and Henry that gets more attention in Volume 3. I love the new characters that were introduced in Volume Two like Cash Morgan. He is a pretty cool character and you really feel for him at the end considering what Skinner does to his pregnant wife. The Skinner Las Vegas story was the better of the two stories as it had more action and well more blood and killing of vampires. I did enjoy the Pearl and Henry story as it is building up to something. They are being followed and on the run and you feel like at some point someone is going to capture them. I like how Scott Snyder is taking his time with Pearl as you get to know her a bit and you actually get a sense of what Pearl and Henry want. They want to live a happy life and to be left alone from the vampire hunters and the vampires. American Vampire Volume 2 is a good collection with two stories that are pretty enjoyable and full of vampire violence for the diehard horror fan. What is exceptional is the smart story that Scott Snyder weaves as it is apparent that he is planning something major. You get the feel that the way the story is being told is that American Vampire is a story with a beginning a middle and an end and that the beginning has got me hooked to find out what happens in the middle. 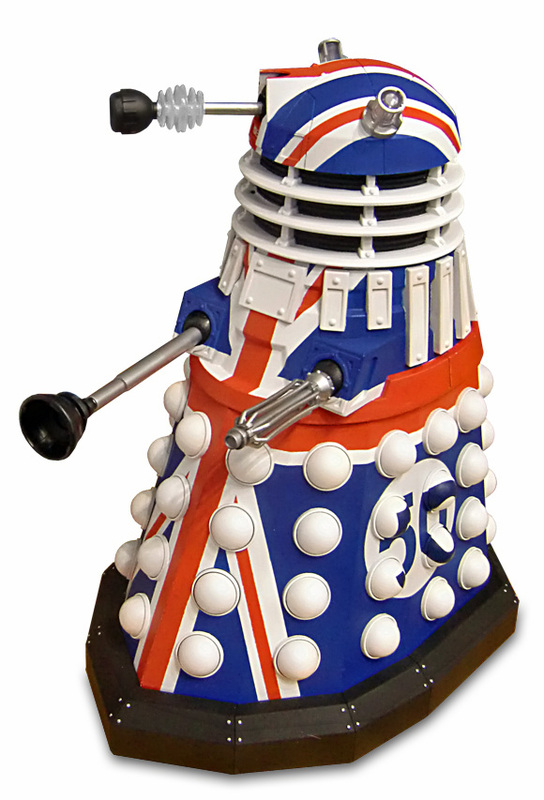 Classic Doctor Who Returns to America! BBC America will be airing previous Doctor Who episodes all year in celebration of the 50th Anniversary. "The Doctors Revisited" series will air one story from each Doctor each month and will start with the First Doctor story, "The Aztecs." The debut of this first story will be Sunday January 27 at 9pm. While some PBS Channels still show Doctor Who in America, it is less common than ever. Hello Sweety! Alex Kingston To Play Dinah Lance On Arrow!!! Doctor Who star Alex Kingston has been tapped to play Laurel Lance mom and Detective Quentin's ex wife Dinah Lance in a recurring guest role on Arrow. Comic book readers will know that Dinah Lance was the original Black Canary and well who knows if she will don the fishnet stockings. 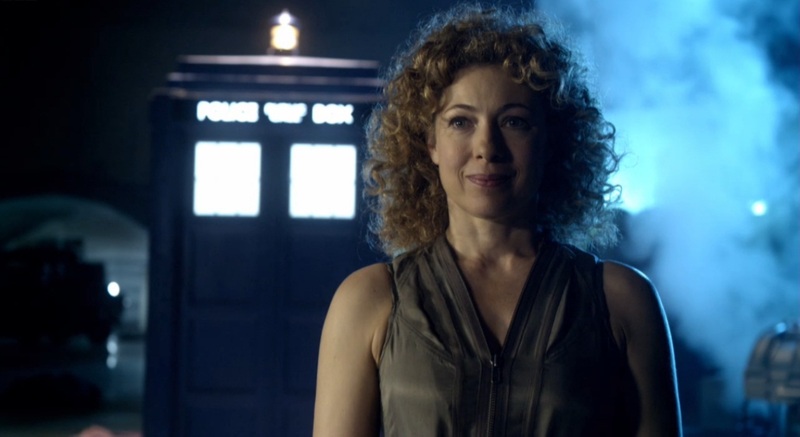 Alex Kingston is the 3rd Actor from Doctor Who to appear on Arrow as Doctor Moon Colin Salmon plays Walter Steele and of course Captain Jack himself John Barrowmen plays Malcolm Merlyn. You can read the full article here. During Doctor Who’s second season the production crew decided to do something different. They decided to make a historical with a different twist. 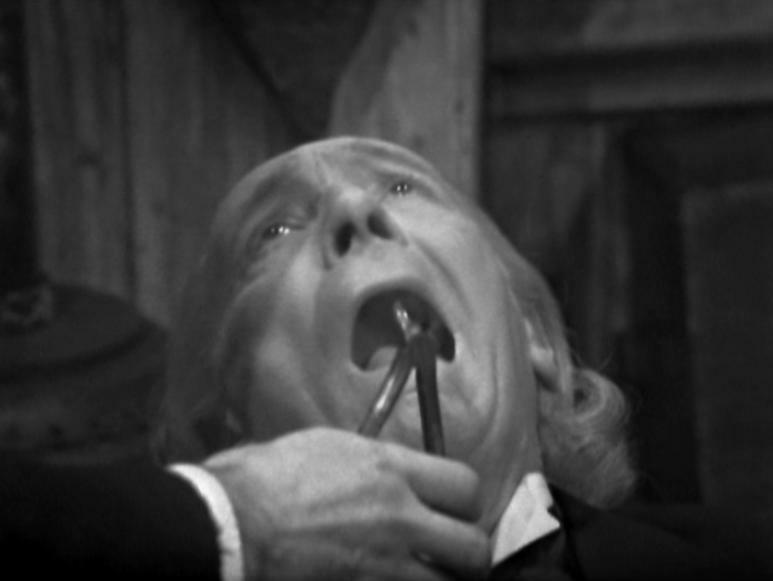 They decided to make it funny and take advantage of William Hartnell’s comedic presence. 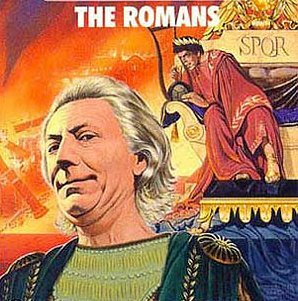 William Hartnell used to do a lot of comedy when he first started acting and the Romans was the perfect vessel for him to revisit his roots. The Romans is not your usual Doctor Who story. Besides the fact that it is pretty funny it also was one of the few stories where there were two stories going on at once. First you have The Doctor and Vicki en route to Rome when they come across a body. In fact it’s the body of Maximus Pettulian. 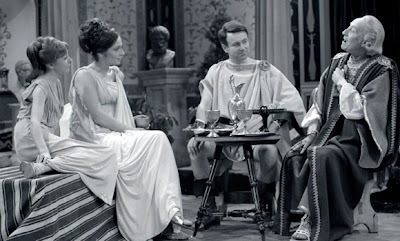 The Doctor picks up the lyre just as a centurion arrives and mistakes The Doctor as the famous lyre player. So they are whisked away to Rome where an audience with Emperor Nero awaits them. 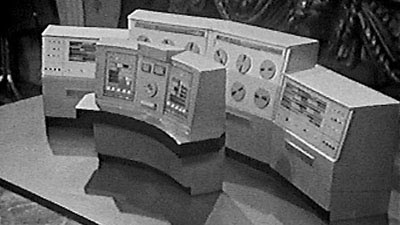 The Rescue introduces us to new companion Vickie who replaces Susan who left at the end of The Dalek Invasion of Earth. Vickie is one of the survivors of a ship that had crashed on Dido. There are two survivors Vickie and Bennett and they have themselves a bit of a problem. Apparently they are being terrorized by Koquillion. Koquillion says he is protecting them from his people who have killed the rest of the crew of their ship including Vickie’s dad. He also informed them that another ship had landed and his people have killed them also. Trailer For Tonights Continuum "Fast Times"
Review For Doctor Who "Night of the Stormcrow"
Trailer For Tonight's Fringe "The Boy Must Live"
Trailer For Tonight's Elementary "M"
Synopsis For Doctor Who "The Flame of Cadiz"
Promo Pics For The January 16th Return Of "Arrow"
New Trailer For "A Good Day To Die Hard"